E-mail written 2002 - 2005 to Warren Culpepper from Judy Brodie, Australia, e-mail address (Aug 2008). 1850 Federal Census, United States. John McBride, 15, M, SC, Farmer. 1840 Federal Census, United States. Joseph V. Brantley, 1M0-4, 1M20-29, 2F0-4, 1F5-9, 1F20-29. Texasnmyheart, compiler, e-mail address, From Dogwood to Bluebonnets, Rootsweb: WorldConnect (online family tree), 2000-2005. 1860 Federal Census, United States. Robert Brantley, 5, M, SC. Ken Brantley, Brantley Association research, including John/Jack Brantley Study and family group sheets, For more info on the Brantley family, contact author at e-mail address, 4750 Oakleigh Manor Dr., Powder Springs, GA 30127: Brantley Association, Oct 2003.
e-mail address Greg Wilson, compiler, Paran Baptist Church Cemetery, Paran Baptist Church Cemetery Association, Mar 2005. E-131, Brantley, Weldon, May 26 1880 - Oct 7 1969. Joseph Van Buren Brantley Jr.
Family Adventures, compiler, Early Alabama Marriages (36 vols. ), Shreveport, Louisiana: J & W Ent., 1991, Repository: LDS Family History Library - Salt Lake City, Call No. US/CAN 976.1 V2e. Heritage Committee of Evergreen-Conecuh Public Library, Conecuh Co., AL Headstones, Vol. II, Evergreen, AL: Evergreen-Conecuh (AL) Public Library, 1981-1986, Repository: LDS Family History Library - Salt Lake City, Call No. US/CAN 976.1263 V3c v.2. Brooklyn Baptist Church, page 26. Nancy Cooley Alvers, Putnam Co. FL Census Reports and Marriages, San Mateo, FL: Palvers Pub., 1999. Page 377: "John N. Brantley md. Luvine White, 31 Mar 1870." 1870 Federal Census, United States. N-91, Brantley, Sarah G., Sep 9 1843 - Sep 9 1928. Lennia Brantley, 11, F, W.
"B.N. Brantley md. Sarah Goodson, 18 Jan 1876." 1880 Federal Census, United States. Precinct 12-14, Putnam Co., FL, Page 103D. From LDS CD. Dlilah Brantly, [Step] Mother, F, M, W, 60, b SC, SC, SC. P-90, Brantley, D. E. Goodson, Aug 19 1850 - Jan 26 1914. "R. T. Brantley md. Deeney Goodson, 28 Jan 1871." Allen Brantly, W, M, 1/12 (May), Son, S, FL. Demis Brantley, W, F,2, Dau, S, FL/SC/SC. Lawrence E. Jarrell, Early Edgefield SC Census, High Point, NC: Alligator Creek Genealogy Pubs., 1998. Barret Traverse 1M0-9, 1M10-15, 1M16-25, 1M45+, 1F10-15, 1F45+. Carol Wells, Edgefield County, South Cazrolina Deed Books, Bowie, MD: Heritage Books, 1997, Repository: LDS Family History Library - Salt Lake City, Call No. 975.737 R2. Vol. 3, page 123. Cites Conveyance Book 22, pages 131-133. Vol. 3, page 123. Cites Conveyance Book 22, pages 133-135. Larry E. Pursley, 7500 Marriages from Ninety-Six & Abbeville Districts, SC, 1774-1890, Easley, SC: Southern Historical Press, 1980.
p. 191: "Mary Travis of Edgefield md Jemina Stallworth, 1808 (Source: Margaret Watson, "Greenwood Co. Sketeches", 1970). Carlee T. McClendon, compiler, Edgefield Marriage Records, Edgefield SC, Columbia, SC: RL Bryan Co., 1970, Repository: Tomkins Library in Edgefield SC, Call No. F277.E2 C7M2 M4. Page 162: "Mark Travis, son of Barrett and Elizabeth Deloach Travis, and Jemima Stallworth, daughter of William Stallworth, Sr., January 1, 1808 (Family Record)." Vol. 7, page 35. Cites Conveyance Book 32, page 207. Dorothy S. Crook - Chair - Conecuh Co. Heritage Book Committee, The Heritage of Conecuh County, Alabama, Heritage Publishing Consultants: Clanton, AL, 2002. Page 211. "Travis Family" article by James Cary Travis, Route 1, Box 135, McKenzie, AL 36456. Ph 334-374-8197. Marilyn Davis Hahn, Old Cahaba Land Office Records and Military Warrants, 1817-1853, Southern University Press, Birmingham, AL 1986. Ref. Page 27: Cahaba Land Office Receivers Ledger, Book 301. 1820 Federal Census, United States. Federal Census Slave Schedule, Conecuh Co., AL, recorded by Alabama Dept of Archives and History, and contained in "Alabama's Pike Co., Vol. 1" by Mrs. Frank Ross Stewart. "3 slaves." 1830 Federal Census, United States. MarkeTravis, 2M0-4, 1M5-9, 1M15-19, 1M40-49, 1F0-4, 1F10-14, 1F15-19, 1F20-29, 1F40-49. Unaccounted for are 1F0-4 and 1F20-29. Perhaps this was Rosannah Cato, wife of William Barrett Travis, and a daughter. He abandoned his family early and by 1831 was living in Texas, never to return. page 20: William Stalsworth, 1M16-25, 1M26-44, 3F0-9, 1F10-15, 1F16-25, 1F45+, 3 slaves. Merle Massengale Bruce, compiler, Early marriages Troup County, Georgia, 1828-1900, Roswell, GA: WH Wolfe Assoc., 1982, Repository: Georgia Department of Archives & History in Atlanta. 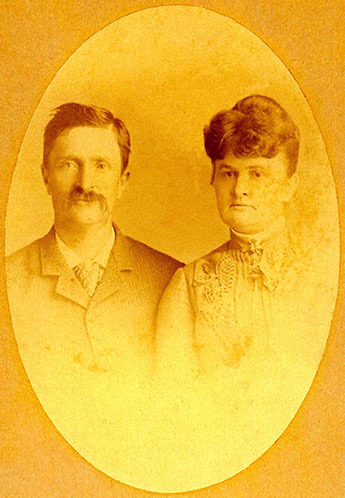 Robert D. Sims and Fannie E. Sheppard on 6 Feb 1863 by A. R. Callaway, M.G. in Troup Co., GA, Book E-195. Jean J. Boicourt, compiler, Boicourt Genealogy, Rootsweb: WorldConnect (online family tree). E-Mail, Corine Reynolds e-mail address to Warren Culpepper, 22 Aug 2003. E-mail written 2001 - 2004 to Warren L. Culpepper from Corine Simms Reynolds (#45262), (deceased 2005). Follow-up message on 19 Aug 2003. Cited her source as e-mail address. ED254, page 2A, Transcribed by Alvis Reynolds. 1930 Federal Census, United States. Lizzie A. Phillips, Mother, 69, IN, IN, IN. E-mail written 27 Jan 2011 to Warren Culpepper from David Drummond Boyd (#62208), e-mail address. Michael Martin Farmer, Oglethorpe Co., GA Deed Books A-E, 1794-1809, Farmer. Frances Terry Ingmire, Oglethorpe County. Georgia Marriages Records, 1795-1852, , Repository: LDS Family History Library - Salt Lake City, Call No. 975.8175 V2i. Page 50, "Wiley Sims and Mary Hartsfield 05/24/1796." Florrie Carter Smith, History of Oglethorpe County, Georgia, Washington, GA: Wilkes Pub. Co., 1972, Repository: LDS Family History Library - Salt Lake City, Call No. 975.8175 H2s supp.. Page 241, "1800 Census from Misc Records Book in office of Clerk of Superior Court"
Wylie Sims, 2 M0-10, 1 M26-45, 1 M45+, 1 F0-10, 1 F16-26. Martha Lou Houston, Land Lottery List of Oglethorpe Co. GA, 1804 and Hancock Co., GA, 1806, Columbus, GA 1928. Michael Martin Farmer, Wilkes Co., GA Deed Books A - VV, 1784 - 1806, Farmer Genealogy, Dallas. Michael Martin Farmer, Oglethorpe Co., GA Deed Books F-J, 1809-1820, Farmer. 1 M0-10, 1 M16-18, 4 M16-26, 1M45+, 2 F0-10, 3 F10-16, 1 F16-25, 1 F45+, 4 agr, 7 slaves.